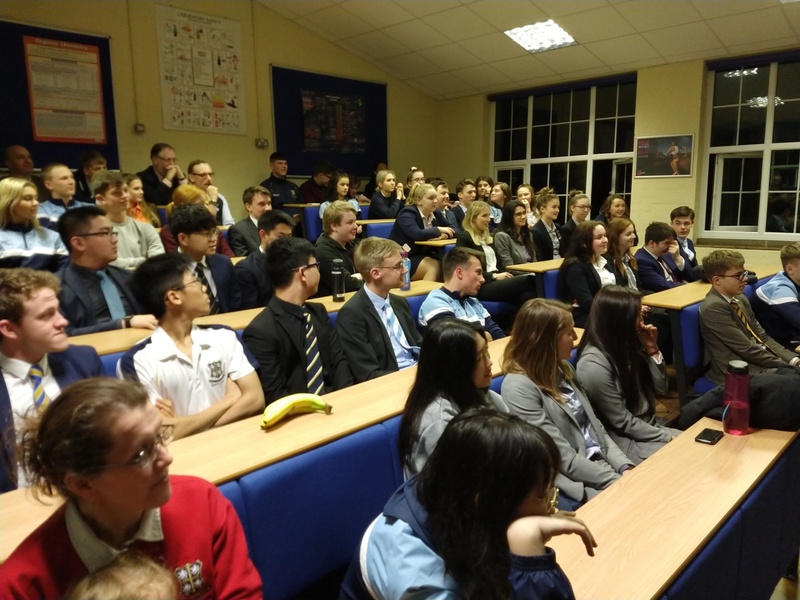 Tuesday night saw the final of the Lower Sixth Science Lecture, a new competition that was launched in October. Students studying biology, chemistry, physics or psychology were able to enter a ten minute presentation about any science topic of their choice. Thirteen students entered and Miss Dalby and Dr Young watched all presentations and put five students through to the final. 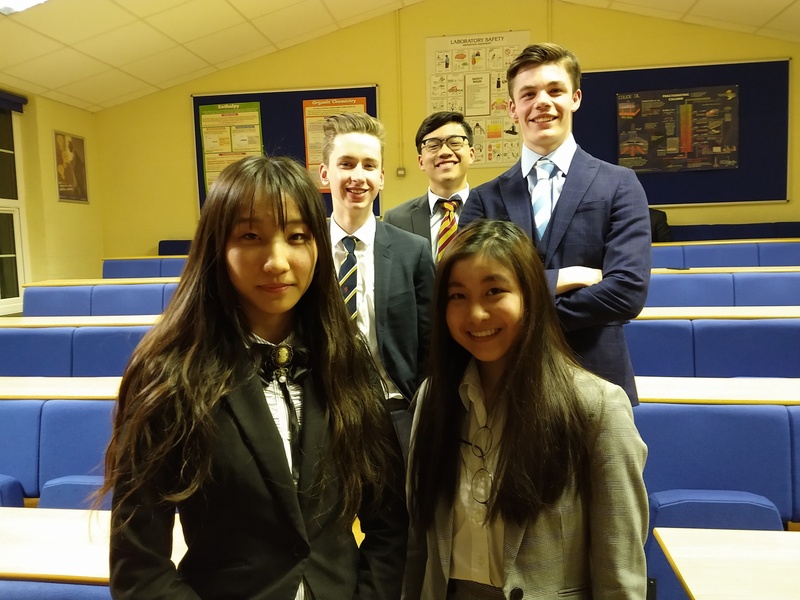 Renit Tsui, Amy Wu, Joe Lippet, Phasin Chomsomboon and Charlie Armstrong then had the challenge of presenting their topic to an audience of their peers and the judges, Mr Kitchen and Dr Gutteridge. This final was the first lecture in the Sixth Form Lecture Programme. "The lecture theatre was so full that many were standing. Students from Upper and Lower Sixth who studied a variety of different subjects (not just sciences) had chosen to come and support their friends as they battled it out to be crowned the winner." Students and staff then adjourned for refreshments in the Sixth Form Centre, whilst the judges considered the winner. In a build up similar to the X-Factor final, Dr Gutteridge and Mr Kitchen spoke about the courage of the students to stand up and speak for ten minutes in front of such a large audience of their peers. 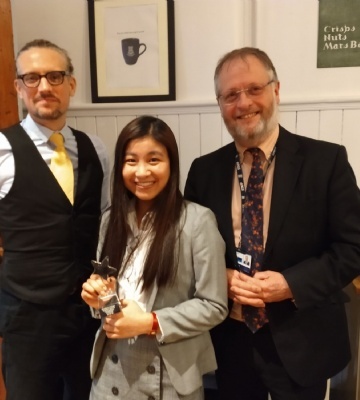 Mr Kitchen said that the entire experience was 'first class super-curricular' before announcing Renit as the winner and presenting her with the star trophy. Well done to all who took part both as competitors and as the audience.